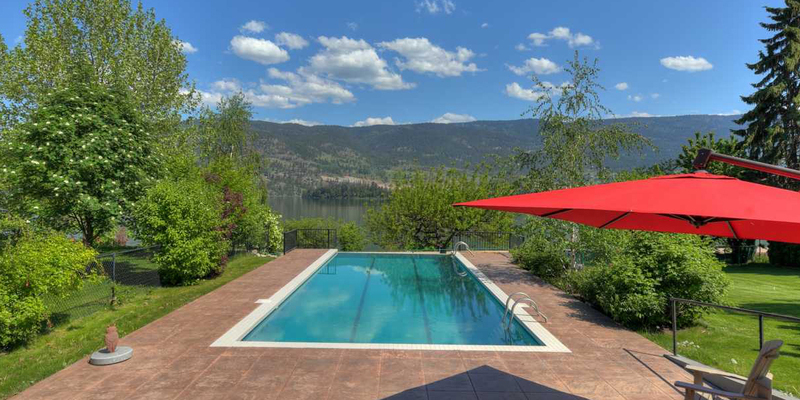 Scenic, uncrowded, and world-renowned for its beauty, Kalamalka Lake (often referred to as ‘Kal Lake’) offers a glorious take on the enviable Okanagan lifestyle. The cyan and jade-toned waters of this “Lake of a Thousand Colours” create surreal vistas that change each day. Surrounded by sandy beaches and a variety of hiking trails, this stunning lake is a favourite playground for residents from Vernon to Lake Country. Build your ideal lakefront property on this picture-perfect semi-waterfront estate lot. Rarely offered, this beautiful piece of land lies on a secluded street, bordering the new Rail Trail, and offers panoramic views over the jewelled waters. This is the perfect place to realize your dreams. This gated lakefront community with only a limited number of homes takes full advantage of the inviting shore. Find magnificent single-family houses with high-end amenities, and turn-key townhomes built with exceptional detail, here. A private dock and beautiful beach park let residents enjoy the bounty of waterfront living with the luxury of privacy. Kal Lake has been likened to the shimmering Aegean Sea. The remarkable colours are a result of sunlight reflecting off of the glacial limestone crystals–constantly changing, and always captivating. A private retreat on the shores of Kal Lake. This waterfront home boasts timeless styling, bright and gracious rooms, and a magnificent outdoor playground to rival any lakeside resort. Watch the colours of the water change throughout the day from your saltwater pool. With its thoughtful design, this house is an entertainer’s dream in every season! Imagine waking up to such magic every day! A boater’s playground, a summer’s day will beckon paddlers to explore the lake’s eastern shores, with dramatic rock faces and ponderosa forests full of Okanagan wildlife. The new Rail Trail offers miles of scenic walking and biking opportunities. The traditional lakehouse reaches new heights in this classic waterfront home, replete with a private boat slip. Cleverly designed to welcome all of your weekend guests, the spacious property offers comfort and privacy to everyone. Entertain in luxury, indoors and out, in this world-class vacation spot. 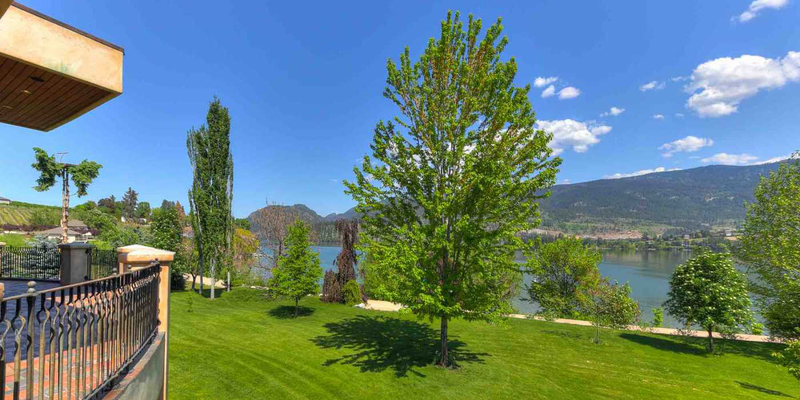 Convenient to the quaint villages of Lake Country and the more urban centres of Vernon and Kelowna, Kal Lake is perfectly located to make the most of this idyllic lifestyle. More than one acre of mature landscaping rolls down to the shore at this gorgeous waterfront home. Blending beautifully into the surrounding landscape, this property uses natural design, unique architectural touches, high ceilings, and walls of windows to make the most of its amazing vantage point. 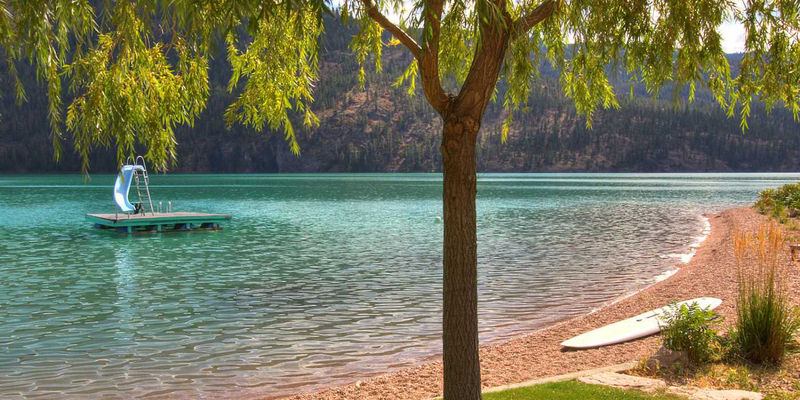 Among the many world-class splendours of the Okanagan, we’re proud to have Kalamalka Lake in our neighbourhood! Jane Hoffman Group can help make it yours, too. 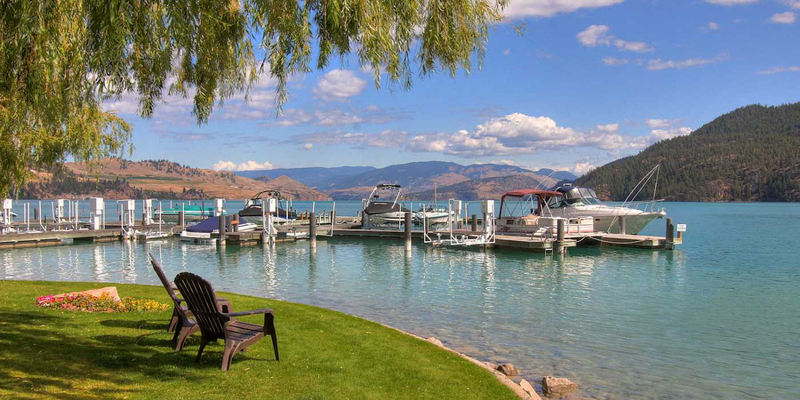 Ready to explore the Kalamalka Lake life? 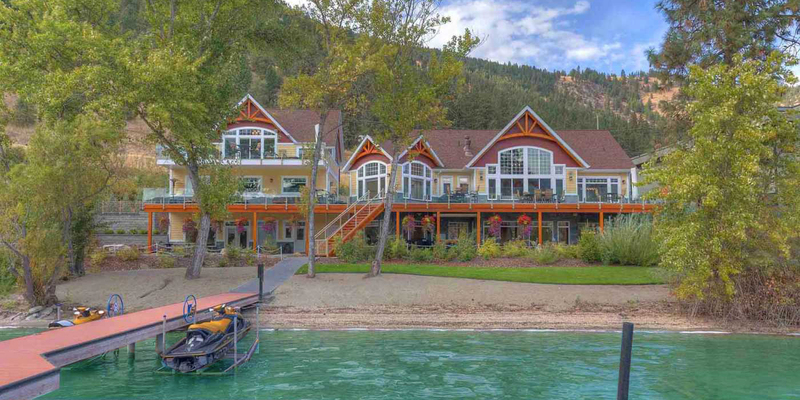 We’d love to show you these incredible properties, or other spectacular Okanagan waterfront homes. Start your search with Jane Hoffman Group.